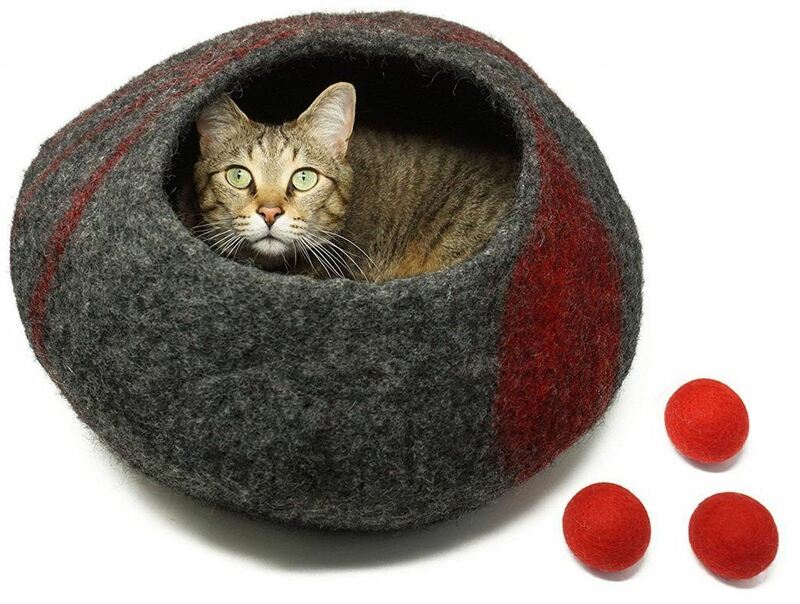 Fortunately, there's a pawsome new bed on the market from Urban Feline that cats LOVE! Read on to see just how much Eevee and Pixel love this bed and how you can get yours. The owner of Urban Feline started making furniture for their cats after realizing that the cat products out there were poor quality and/or didn't look very nice. So, after making their first cat post, they realized that in 6-12 months the cats would need a new one, so they started looking into new options on how to improve the cats furniture so it wouldn't have to be replaced so often and make it stylish. Shortly thereafter, Urban Feline was born. 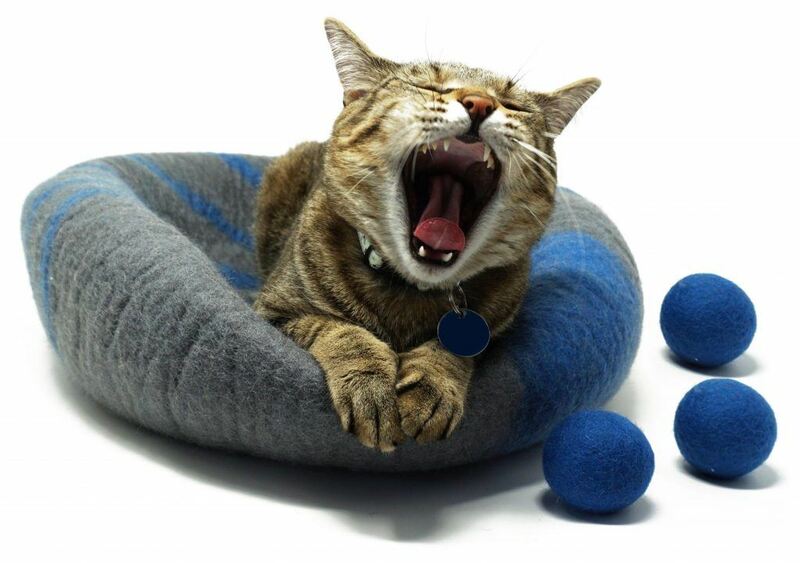 ​The Urban Feline PlungePillow is a fantastic bed for cats of all sizes, since this thing is HUGE. 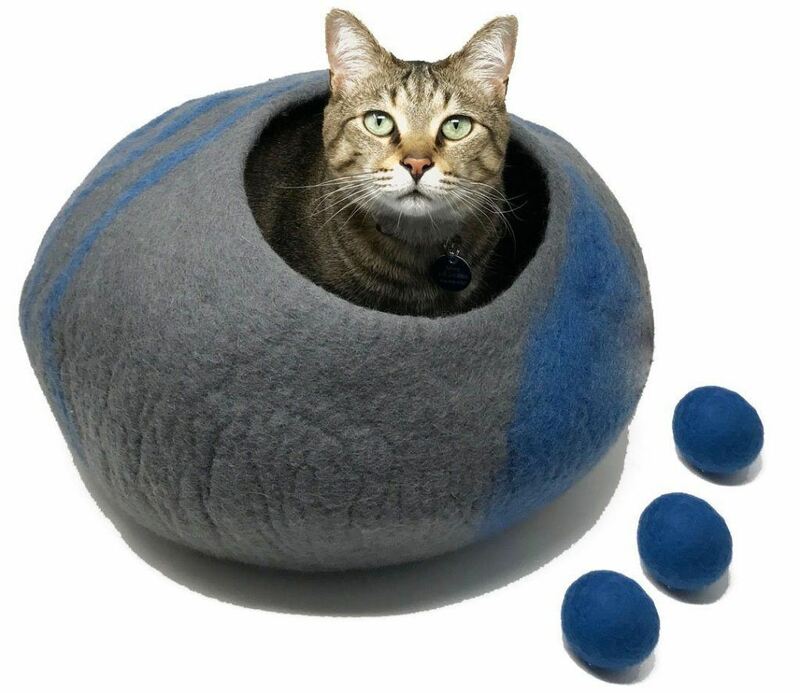 The PlungePillow measures a massive 30" in diameter, so not only could any size cat lay on it, but it could even accommodate a litter of cats or cat siblings! Handmade - These beds are handmade and the quality shows! Hypoallergenic - You don't need to be worried about being sneezy (or your cat being allergic) around this bed. Machine Washable - If the bed gets dirty, it's safe and easy to clean. Huge - It measures 30" in diameter! As soon as we unboxed the PlungePillow, Pixel and Eevee gravitated right for it. They wanted to scratch on it, lay on it, and even kneed it! It was even more exciting than the cardboard box it came in, which is really saying something! Eevee loves the pillow so much that he even kneeds on it! There is no denying how much Eevee and Pixel love this. In fact, they love it so much that they wish our whole house was covered in these beds. Because of that​, we're giving this bed 5 stars out of 5! 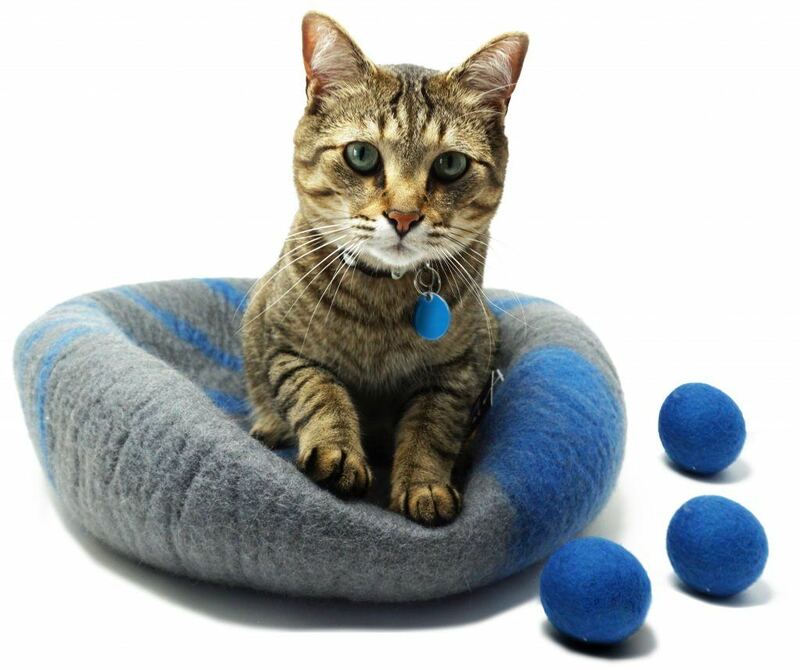 If you'd like to pick up a PlungePillow of your own, you can buy one on Amazon below! Can Cats Be Allergic to Cat Litter? What Is the Best Cat Litter for Multiple Cats? Here are the Top 5!